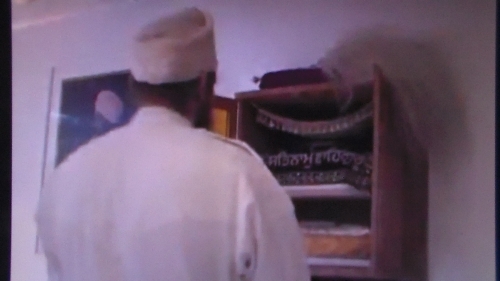 SikhNet Yogi Bhajan dera’s beadbi against Siri Guru Granth Sahib Ji! #WakeupSikhs : Alarming beadbi against Siri Guru Granth Sahib Ji occurs every day at SikhNet HQ & Yogi Bhajan's dera Hacienda De Guru Ram Das, Espanola ashram. Gursant Singh's e-mail response to SikhNet's Chairman Supreet Singh Manchanda who stated in an e-mail letter to Gursant Singh on 9/21/15 12:10 PM, "I am open to dialogue..."
I see thousands of Sikhs around the world who are very concerned about the direction SikhNet and the Yogi Bhajan people are headed. Before we seriously sit down to talk, SikhNet needs to respond to the disturbing allegations and photos of the Yogi Bhajan disciples disrespecting Gurbani, performing Hindu pujas, idol worship and the twisting of Sikhi which are all supported either tacitly or directly by SikhNet and the other Yogi Bhajan organizations. Sikhs around the world are demanding detailed public statements concerning the issues presented in the three articles written by The Sikh Free Press and Sikh News Network. One Sikh summed up SikhNet's non responsiveness to these important issues very succinctly: "SikhNet's silence is deafening"!